Two of modernism’s most iconic pieces of furniture—the PK22 lounge chair and the PK61 coffee table by Poul Kjærholm—will celebrate their 60th anniversary this year. Poul Kjærholm is considered one of modern architecture’s most important pioneers alongside Le Corbusier and Ludwig Mies van der Rohe. He had an uncompromising approach to his work in terms of materials, which led to years of struggle and disappointment. However in 1955 he finally discovered his ideal material, steel. The launch of the original in 1965 marked his breakthrough on the international scene. To celebrate 60 years of timeless and outstanding design by Poul Kjærholm, Fritz Hansen will honor the Danish carpenter and his work with an exclusive set uniting of the PK22 and PK61. The materials are carefully chosen for this limited collection to emphasize the clean lines that has become the signature of Kjærholm’s design. The chair and table's perfectly aligned geometric lines make them a stunning, timeless couple. Each anniversary piece will be marked with a distinct stamp. 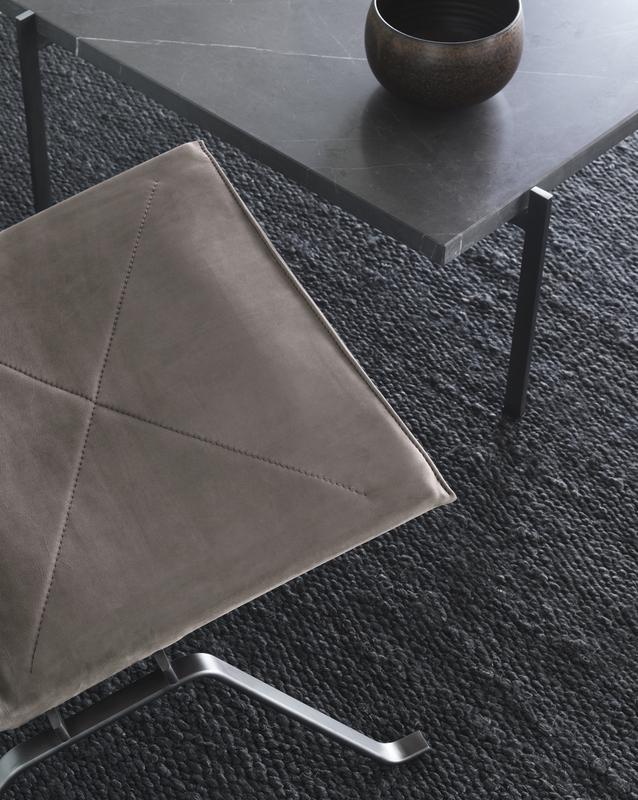 The new PK22 long chair features long lines of darkened steel and soft nubuck leather. It is crafted in the exact same way as Kjærholm intended, but for the anniversary set, Fritz Hansen has enhanced the steel with an electroplated anthracite finish. For the coffee table, the PK61, a marble masterpiece, Fritz Hansen has added an electroplated anthracite surface to the steel and combined it with a tabletop in Petra marble for a modern look.